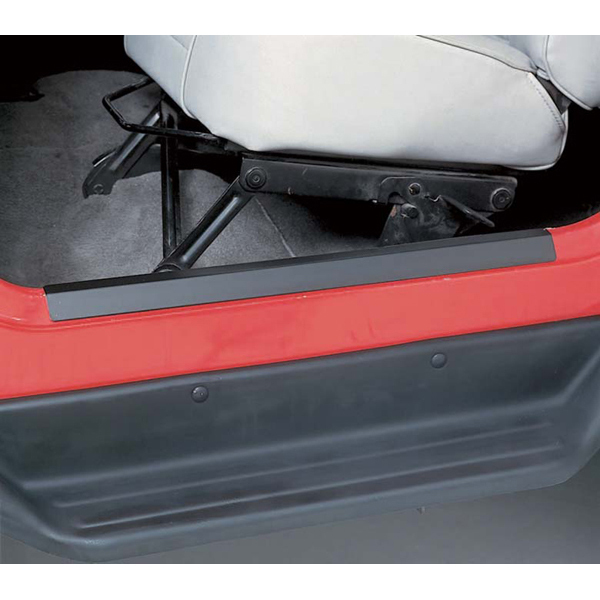 ENTRY GUARD, BLACK, 97-06 JEEP WRANGLER, PAIR - Jeep Parts Guy - All the Jeep Parts You Need! Protect your door threshold with these stylish entry guards. They enhance the look of your Jeep while providing the ultimate in protection. Attaches with durable double sided tape. Sold as a pair. Attaches with durable double sided tape. Sold as a pair.